antique sewing machine - Singer Turtleback. 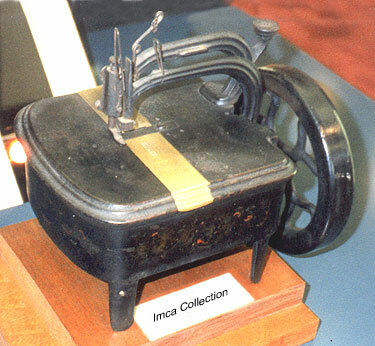 Known today as the "Turtleback", this model was Singer's first attempt at a Family machine. Production started in 1858 but only lasted a few years. A more successful replacement came in the form of the "Letter A".